April 23, 2018, 11:34 a.m.
Wellness apps, but for news: Can Neva Labs build a news reading experience that feels healthy? By Shan Wang @shansquared April 23, 2018, 11:34 a.m.
How do you feel when you read — try to catch up on — the news? Overwhelmed, guilty, uninformed, anesthetized, driven to avoid it all? The company, which was first announced last fall and now has a team of six, has for the past few months been testing an MVP with a small group of users to pin down more precisely what types of levers users might want — for instance, eliminating duplicate stories in their feeds, setting reading preferences for a commute or a time of week, balancing the voices represented in their feeds. Right now, the tests are centered around learning how users want to streamline a noisy Twitter feed. 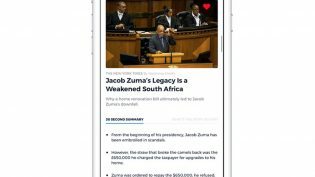 Its ultimate goal is an algorithmically sophisticated but responsible and simple-to-use news and information manager that works with many sources that go far beyond Twitter. Kerr and Little see what their building as more in line with the mission of wellness and meditation apps like Headspace than personalized media libraries like Netflix or Spotify. Our conversation below, which incorporates a few followup questions via email, has been edited for length and clarity. Shan Wang: I know you’re still in the early stages of testing something you hope will have broader use cases, but can you tell me more about who’s on the Neva Labs team, and what exactly is everyone working on at the moment? Áine Kerr: As you probably know, Mark and I worked together at Storyful. Mark and I have a huge amount of experience what you might call “traditional” journalism. We came together at Storyful, then it was sold to News Corp. Mark went on to Twitter, and I went on to Facebook, based in New York. Paul Watson is leading our roadmap for product development at Neva Labs, and he was also CTO of Storyful. So Storyful DNA runs through the team. We have Eilis Boyle, our user advocate. She’s getting ahead of the development and working toward building design concepts, testing, learning, and iterating all the time with designs. That’s informing the development team. We have Marco, who is our guy for all things API — servers, stability, scalability. We recently hired Andrew, our machine learning engineer, who’s starting to think about algorithms that will make sense for understanding user behaviors. When we were coming together last year, it came back to key questions we had for years. How do we build a radically new and different experience for users at this massive moment of diminishing trust, misinformation, and polarization? When we started on this MVP journey to produce a new experience for users around news and information, we wanted to be absolutely confident around what people were actually dissatisfied about. We spent a lot of time looking at research trends, work done around polarization, the things that irritate people around personalization, controls, and algorithms. From the beginning, the premise of Neva Labs has been to build a news experience that brings you away from this mindless, endless scroll that we’re all guilty of, whether it’s on websites, apps, on any of these platforms. What we’re building centers around being productive, building a sense of routine, and having a quality experience — but also one that introduces you to new sources. Little: If you took away advertising from the platforms we have currently, if you took away the need to addict people and harvest their data and keep them refreshing their pages, what would that experience look like? We started with the idea: What if we built a sort of personal assistant for news? You come into this app, you can set your controls in a way that can match the different parts of your identity. At 8:00 in the morning, for instance, I’m a commuter. By 9:00, I’m a journalist. At 1:00, I’m eating lunch. My identity every day is complicated, and very different from somebody else’s. So our challenge was: Could we give people power over filters in a way that wouldn’t cause unnecessary friction? We believe personalization in its first form has been counterproductive. People are being given content that’s based on their past behavior. We want to create a form of purposeful personalization. You get to set the agenda and you set your intentions. At the end of the week, you tell us what outcome you want. We can make an analogy to the health, fitness, and mindfulness apps that some of us use to create better outcomes, whether it’s sleep, meditation, exercise, calorie-counting. Couldn’t you take control of your news experience in the same way? In testing, we’ve just put something in people’s hands to get reactions. It’s basic: Here’s a bunch of optimization features that we think will give you the power to create a news experience that speaks to your intentions. We’ll give people the ability to optimize algorithms to take away unnecessary noise, the replication, the scroll, and take them to the things they care about. Maybe three months ago or so, we got to a point where we had built out a dashboard, and started testing with a small group, and now we’re rolling that out to about 130 people, most of whom just answered our call on Twitter. We asked, are you overwhelmed? And they came back to us. They’re a pretty representative group of news seekers, predominantly American. Wang: Can you tell me more about what controls you’re testing exactly in the MVP? Where are you testing it, what are testers seeing, what sources do you give them access to? Kerr: Rather than going out and building a fully baked product, we’ve built mockups of designs and concepts to test first for understandability. We come to this with the assumption that people are interested in an experience where you can, say, turn the dial and say, I have 10 minutes, or 20 minutes, or 30 minutes. We have assumptions about what people want that we’ve begun to test. For the MVP in the past few months, we’ve started with only Twitter as our basis of experimentation. We had one assumption in the beginning, that people would be interested in a diagnostic: What does their news feed look like, a summary of their consumptions and habits. But we got feedback strongly in the beginning: People said, don’t make me feel guilty. Make me feel empowered. Don’t whack me over the head if I only read two of the five suggested articles, if I read too much of this or of that. Our research shows us people want their news and information experience to be more like their health and fitness experiences: They want to set goals, control filters, discover new sources, track progress. Within that, we’ve looked at simple concepts such as the timer setting. You can say: I’m at the start of my commute so I have 20 minutes. And then you see an experience render that’s based on your interests, with controls within those 20 minutes that allow you to figure out if you just want the quick fix of what’s happening, or if you want two longreads that are going to take up the whole 20 minutes. Little: For instance, a user tells us: “I’m getting on my bicycle so I have 20 minutes to cycle to my workplace. 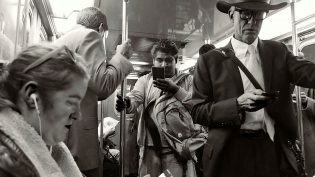 Don’t send me a video.” If they’re consuming something on the train, they may not want images. Maybe they want something direct when it comes to breaking news; they don’t want the same stories taking up real estate. One of our testers told us: “I want to be wound up at one point, and then I want to be wound down at the end of the day. At the beginning of the day, I want something that inspires, that makes me feel something. In the evening, I want something a little less impactful.” So we want to match the rhythm of a person’s day. At the end of the week on a Sunday, someone might have a little more time, so we could send those 10- or 15-minute reads they missed during the week. Our objective isn’t to give a ton of material they’ll never get through. It’s to help them manage. For us, ultimately, if people dip in for only three minutes each day and get what they needed, we’d define that as success. Kerr: Within all of those controls, two things are resonating with testers. One is stopping the repetition of stories. With the click of a button, they can render their feed so they only see one piece about the Oscar winners. The other has been around bookmarks. We know people like to put away longer reads for the weekend. You start to feel bad if that story is still sitting there a week later. Our users have said, give us the ability to bookmark, but consider purging those after seven days so we don’t have a pileup. Little: At the moment, as a tester, we’d ask you to import your Twitter, and we’d analyze it with natural language processing to understand what the dominant topics may be within your feed at any given time, and then offer you a way of seeing the feed optimized on the basis of signals of people in your network. And then we’ll bring the social elements, with links recommended by people in your circle. And then we’ll be giving you the ability, when you see topics you’re interested in, to drill down further, to create new channels for yourself. Maybe you follow 1,000 people, and 50 are sports-related, 50 are in entertainment, and the vast majority are politics. But you don’t want to see Donald Trump content every day, so you exclude that topic. You tell the machine I like this, I don’t like that, and then can build new channels that will allow you to stream the feed into specific topic-based verticals. Right now, we’re adjusting a Twitter feed, which is rich in content and signal. Going forward, we want to incorporate pretty much any content feed that you want to be part of your productive routine, but managed in a way that reflects your identity and habits. We don’t want what we build to be just an app with Twitter signals. It must deliver outputs into newsletters, be available in voice briefings, as podcasts. We see this eventually moving toward being a knowledge management system. Kerr: We’ve been launching the MVP in three stages. The first one has been a “my news” channel, the second is a channel builder, the third is adding this community element and discovering news sources. We’re hoping that soon, all three versions of the MVP will be out to our broader group, and then it’s an opportunity for us to come up for air and figure out next steps for the rest of the year. Wang: I think Twitter users are probably a little less “normal” in their news behaviors than, for instance, Facebook users. Any concerns this is baking in skewed preferences from the start? Little: We used Twitter to get over the “cold start” problem in sourcing content for our prototype, but we’re fully aware of its limitations in defining the user’s identity. As we integrate multiple other sources, including newsletters and social platforms, we are looking for more sophisticated signals about the user’s identity and intentions. For example, LinkedIn is a great signal for users seeking professional intelligence, while Facebook offers insights into what communities the user is engaged with. Remember, we’re not building another news aggregator. We’re helping the individual build a news experience that’s aligned with their complex identity and best intentions. Different platforms and sources will play different roles in that process. Wang: What else do you know about your testers, though? Their location, their preferences coming into this? Little: We were taken aback by how little data we need from our users. We don’t want data about your current affiliations, your gender, other characteristics about who you are. It’s about your intentions. Also, we’re a European startup. GDPR comes into effect in May. We don’t want to permanently store any of your data. You don’t need as much data from users to make a system like this work, and certainly the data we have can be anonymized so that it can be protected. Kerr: That was one of our bets in the beginning — that the price of free is actually too expensive for people, with cookies and irritating ad experiences. A lot of behavioral patterns we look at suggest people moving toward paying for a service. Wang: What is the ultimate audience you envision when you have your first real product available for wider use? For active news seekers, what you’re building must be extremely welcome. But thinking specifically about other groups of people who don’t have any news and information in the feeds they follow — is there a pitch that this would work for them, too? Little: The tools we’re developing will inevitably create a community of smart curators who create value for a wider network. Eventually, we hope to unlock the value of that community through collaborative filtering, offering even the most passive news consumer like-minded guides to relevance, much like the way Spotify makes it easy to discover new music through people like you. Wang: Is there an human, curatorial element to this, or do you intend for the user to set all the signals; I want this, I don’t want that. Will editors on the Neva Labs end be selecting and nudging certain things forward? Little: There will be decisions on how we deal with misinformation. We’ve been working with the ClaimReview system Google has been testing with some fact-checking partners. If we find that a piece of content in your feed has been contested by a fact-checker, we don’t want to remove it, but we want to show you the context. It’ll be a decision on our part to decide which partners, which APIs, we want to work with. There’s an interesting challenge going forward: What oversight does an algorithm working with people’s best intentions require? Will there need to be recommendations? An interesting case we had come up in testing was that we detected the genders of the contributors to a person’s feed. In certain circumstances, unsurprisingly, men dominated. The reaction we got from testers was, don’t tell me that! I already know that. Tell me how to correct that. So we think there will be curators active in our network who will be offering to correct imbalances and biases within a network. Say you’re a woman who wants to read more about cryptocurrency, which is an overwhelmingly male-dominated conversation right now. How can we help you find sources to rebalance the conversation? We’re hearing a lot today about the situation in Syria. But we’re also probably reading about most of it from New York-based or London-based newsrooms. Can we find people closer to Syria? That will require, if not direct intervention, then at least connecting you with the right people who can give you a much more rounded, diverse, challenging, and surprising experience of the news. Wang: How are you thinking about potential tech and design blindspots early on, given that the initial team is mostly men? Little: We’re still a small team of six — two women and four men — but I think our record speaks to our intentions. Áine and I have built, grown, and managed diverse teams. We know better than most that products are determined by the culture of the teams who build them. Spliced into the very DNA of NevaLabs are the critical feedback loops needed to expose unconscious bias and the unintended consequences that inevitably flow from them. Consciousness and diversity are core to the products we are building. That’s shaped the composition of our test group. Our ongoing recruitment strategy will reflect that. Wang: Will your business model be to charge, in various subscription tiers, for the products Neva Labs builds? Little: Yes. Our key conviction is that people will pay for a radically enhanced user experience of news, and potentially pay different amounts depending on features and services they can unlock. But just as our product is still in development, so is our business model. We’re still working out where the line between free and paid service is located, and we are learning a huge amount from pioneers of membership and metered models of payment. With an eye on the future, we are also exploring revenue opportunities through partnership. We are talking to publishers about how we can potentially give their existing users and subscribers that radically enhanced news experience. We are also exploring ways to reward the power users or curators who currently create the most value on social platforms, but receive none of the rewards. From conversations we’ve had with publishers, and also with people looking at valuation, we’ve been really inspired by the hunger from publishers to look at revenue opportunities that aren’t advertising. We make the pledge that we’re not looking for a slice of the publishers’ existing income. We feel there could be additional revenue streams that are beyond the subscription income that news organizations are getting on board with. The company is currently funded by us, and an investor who was with us during our Storyful journey. Funding ourselves is a conscious decision to control what we’re doing. We have the runway to do what we need to do now. We’re in the middle of conversations right now, and we have some good options that maybe don’t involve traditional funding routes, but we’re talking to VCs and funders as well. Photo of bicycling to the library by Guian Bolisay, used under a Creative Commons license. POSTED April 23, 2018, 11:34 a.m.
Wang, Shan. "Wellness apps, but for news: Can Neva Labs build a news reading experience that feels healthy?." Nieman Journalism Lab. Nieman Foundation for Journalism at Harvard, 23 Apr. 2018. Web. 19 Apr. 2019. Wang, Shan. "Wellness apps, but for news: Can Neva Labs build a news reading experience that feels healthy?." Nieman Journalism Lab. Last modified April 23, 2018. Accessed April 19, 2019. https://www.niemanlab.org/2018/04/wellness-apps-but-for-news-can-neva-labs-build-a-news-reading-experience-that-feels-healthy/. | title = Wellness apps, but for news: Can Neva Labs build a news reading experience that feels healthy?